A lot of people are now aware of the fact that leaving electrical gadgets and appliances with batteries just as they are over time can bring a lot of problems. 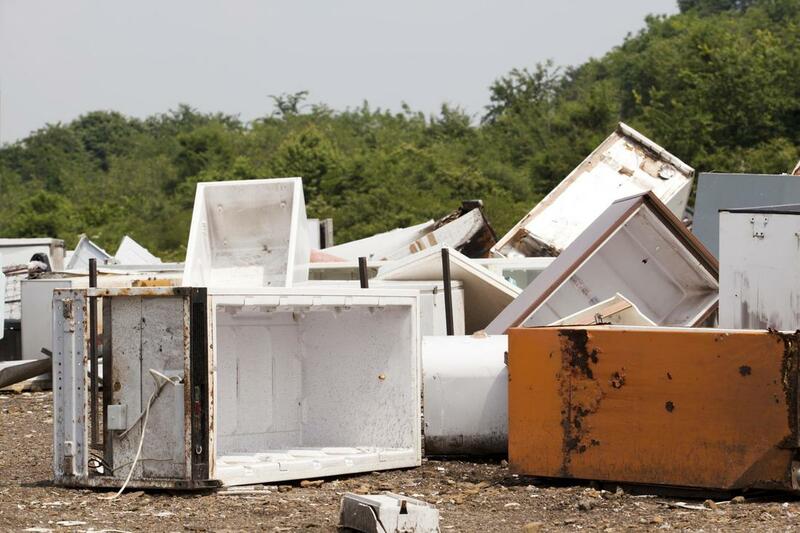 This is a great step in the right direction, but it is not nearly enough to really tackle the excess amount of wastes that are being produced by old electrical appliances. Most of them don’t take up a lot of space so people just tend to leave them be for years and years. Make sure that you are not one of those people and you get all of those wastes to Junk Removal Chandler! A lot of homes that have been around for a while have built up quite a collection of antennas and other appliances that once served a great purpose, but have since become useless. For the most part, they won’t cause a lot of problems, but they could fall from your roof during a storm and since they may have become a bit loose over the years. The best way to make sure that this doesn’t happen is to have them removed. We can help you remove them and ship them off to the graveyard. Like the previous example, in this case, many homes have also amassed a large collection of electrical home appliances that they are no longer going to need. While most of these appliances don’t run on batteries they can still cause some problems by remaining in the home. For one they are taking up space in your kitchen that usually tends to be a crowded place, to begin with. If you try to turn them on they can also start burning up. Just get us to pick them up and be done with it! Those R.C. toy cars that you got for Christmas like 20 years ago and you still keep in your basement could really be a lot more harmful than you think. Make sure that appliances that run on batteries especially old ones remain without batteries when they are not in use. If not you can be in store for a lot of malfunctions and leaking batteries. That is something that you truly don’t want to have to deal with. Disposing of batteries that have already leaked can be a risky business that is what we are here for. The main reason that we don’t g calls over appliance removal is that people think that many of them aren’t big enough for them to cause a threat. Plus, they don’t want to have to give us a call over just the simplest thing. What we recommend that you do is that you get a whole bunch of electrical appliances that you have and may be have us come by once a year to pick them all up. You can even bring in your neighbors or family’s appliance!